What is the best solution when choosing a high volume MTA? When selecting a Mail Transfer Agent (MTA), it is not just a technical question, it is important to see the differences and features to look for. So, how does a sender select a high volume MTA for their emails? This important question I’ll answer in this article. Deliverability is the ability to deliver emails to the recipient inbox, without hitting the spam or junk folder. Deliverability is affected by a combination of several factors both strategic and technical. Strategic factors include for instance the type of content you are sending, list hygiene and sender reputation. Technical factors include sending limits, RFC and authentication compliance. Your email server provider or MTA platform should provide those to you to be compliant with the anti-spam and pass filters. 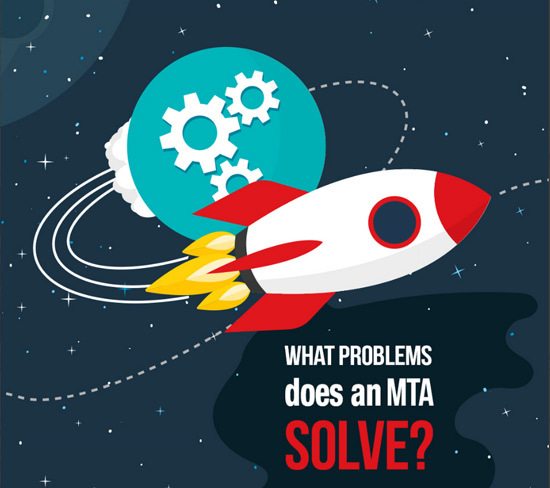 What problems does a high volume MTA solve? Before focusing on how to select the right MTA and if you should go cloud or on-premises, let’s see the problems that a high performance MTA can solve. Performance: a high-performance MTA is the best solution to send volumes of messages with high deliverability, high speed and low latency, while retaining full control of sending parameters. Besides, a dedicated MTA usually allows more detailed performance analysis via integrated reports and external analytic tools, and if well managed can lead to a higher level of reliability/availability. Be sure about performances and reliability of the vendor. Possibly ask for references from other clients or resellers. Be sure that the vendor has a good reputation and has been working in the industry for a long time. In summary, be sure that he knows what he is doing! Require price and technical transparency. An on-premises solution could be more convenient in the long term, but you need to be able to calculate the Total Cost of Ownership. Be sure that your vendor has a strong concern about privacy and data protection and is able to suggest you the best way to keep your data protected. Select a partner that can provide your company with ongoing supported consultancy both at the beginning and during the life of your project. Look at the features of the MTA software and select the solution that can assure you the best mix of options for your needs. Try to plan for the future: where do you see your project in the next few years? Find out beforehand the limits of your solution and the hidden cost of the migration between providers or between on-premises and cloud solutions. Being an ESP and MTA vendor, we notice a growing demand of on-premises solutions in all industries. Very structured companies need to refer to a strong vendor able to play in both fields. Some clients need to internalize their email sending infrastructure. Because of factors such as business models, email volumes or security and privacy policies and evaluate hybrid solutions (e.g. : In-house ESP and outsource MTA components). Hybrid is an interesting scenario for those companies that want to satisfy their needs for privacy, full data control, and high deliverability performance. Email vendors should quickly adapt their proposition to offer flexible and sustainable solutions to satisfy the specific needs of clients from all industries. More about the differences in the modern considerations about Cloud versus on-premises in my next article. 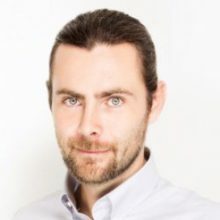 Fabio Masini is CTO of Diennea, one of the pioneering companies in digital direct marketing with two proprietary platforms: MagNews and EmailSuccess. After graduating in Computer Engineering, Fabio started his work in Diennea 14 years ago. First as Project Manager, after years of experiences with major clients, he deals now with the management of the entire technological infrastructure and company’s services.